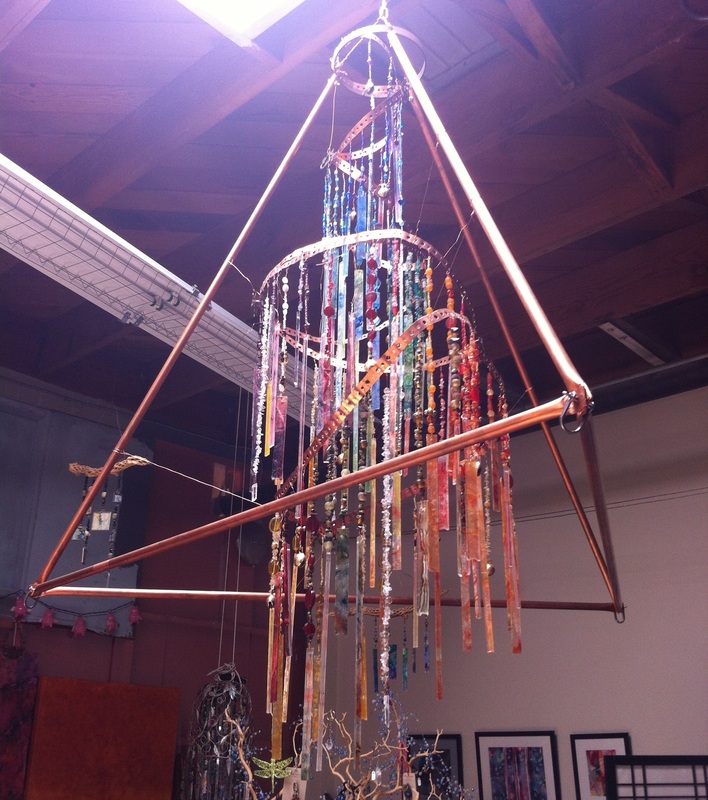 Art work and crystals handcrafted into wind chimes, dream catchers, sun catchers, and a wide variety of fab-u-lous hanging sculptures I like to call ChandaLehrs. (My last name is Lehr. How perfect is that!) My art work and crystal sculptures are created out of reclaimed goodies, recycled objects, and natural elements such as wood, plexi-glass scraps, crystals, glass and vintage beads, silver, feathers, etc, etc.